Your account settings can be accessed in the top right corner by hovering over your name, and clicking 'Account Settings'. 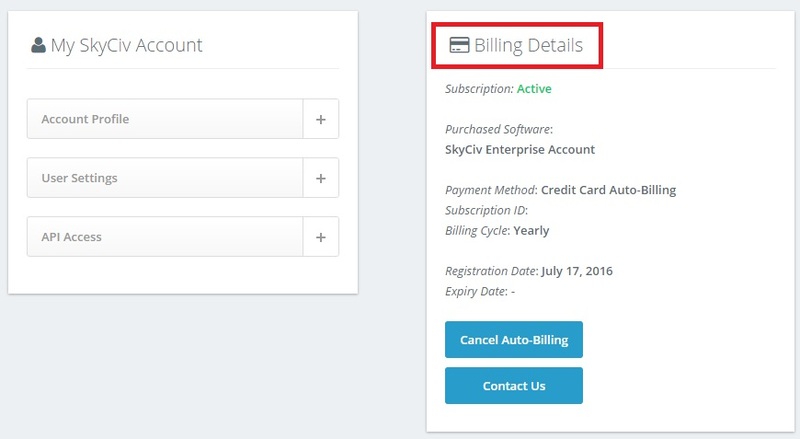 To the right you can find the billing details of your account. Note in particular the payment method and billing cycles. Buttons are present at the botton to cancel your billing as well as to contact us. On the left, there are three menus available. For 'Account Profile', your personal details are present, and there is an option to change your password at the bottom. 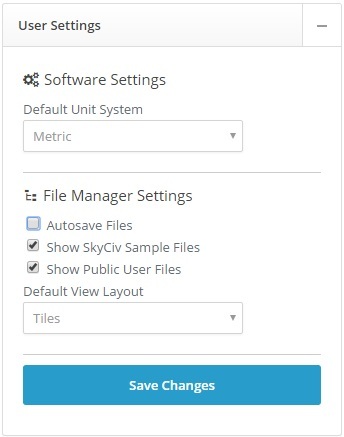 In the 'User Settings' menu, you can change your default unit system (metric or imperial) as well as your file manager settings. 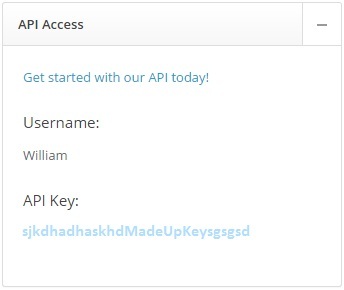 Under the 'API Access' menu, you can find your username and API Key to access our new API feature.